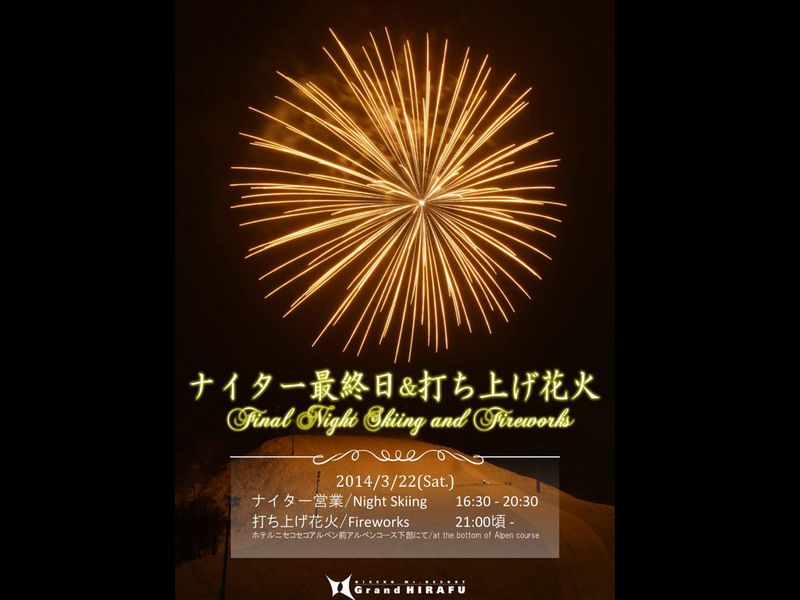 Tonight is the last chance enjoy some best night skiing in the world at Grand Hirafu. From tomorrow the resort will call last lifts at 16:00. Although the powder won’t be there tonight it will still be fun to get up there. From 21:00 there will be a large fireworks display at the bottom of the Alpen course.